Oscar-nominated for Best Foreign Language Film. 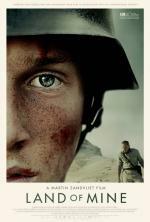 “Written and directed by Martin Zandvliet, Land of Mine takes place just after World War II. And a key part of its plot involves not hardened combat veterans but young teenage boys, kids really, some no older than 15. OSCAR WINNER! Best Foreign Language Film. 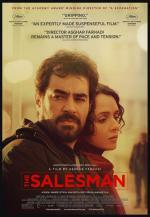 “Human nature has always been the focus of writer/director Asghar Farhadi. Farhadi is a man more interested in impact than event. It’s not the disappearance in his 2009 film About Elly that matters as much as the ripple effect caused by it. 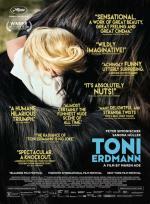 “Toni Erdmann is a tough film to explain. It aims to confound, to discombobulate, to make you laugh and wonder what exactly you think is so amusing—to re-evaluate things, in short. That’s the goal of both the film and the title character, a parody persona adopted by an eccentric divorced dad to both repel, and earn the love of, his disapproving daughter. Stepping from the pages of Fredrik Backman’s international best selling novel, Ove is the quintessential angry old man next door. 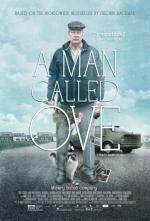 An isolated retiree with strict principles and a short fuse --who spends his days enforcing block association rules that only he cares about, and visiting his wife’s grave-- Ove has given up on life.